ThermiTight is an FDA-approved radio frequency treatment that we use for tightening skin. This non-surgical treatment produces natural, noticeable results in a single session by stimulating your body’s collagen production. Am I a good candidate for ThermiTight? ThermiTight is best suited for someone who has mild to moderate laxity or sagging skin. It can be an excellent option for someone who is interested in preventative, anti-aging treatments. It’s also a great choice for someone who would like a touch-up to a previous treatment like liposuction. It’s important to remember that everyone’s body is different and therefore responses to this treatment vary. Our physicians will take several factors into account during your consultation to determine whether or not you’re an ideal candidate for this procedure. What is ThermiTight treatment like? Depending on the size of the area to be treated, the ThermiTight procedure typically takes anywhere from 30 minutes to 1 hour. First, an anesthetic solution will be injected to the area being treated. Next, a tiny probe will be inserted just below the surface of the skin. 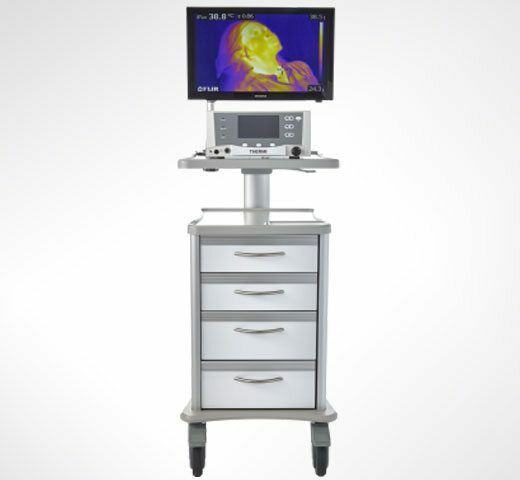 This probe is used to carefully deliver radio frequency energy at a precise temperature throughout the treatment area. Meanwhile, the probe monitors skin temperature internally as a thermal camera monitors externally; thereby ensuring the highest level of safety. After the procedure, a small dressing will be applied and we’ll give you aftercare instructions to take home. What are the side effects of ThermiTight? Any downtime? Most ThermiTight patients experience mild redness, swelling and/or bruising in the treatment area that will fade away after 7 to 10 days. Also, temporary nerve injury along the jawline is a potential, but very rare side effect that could occur, but resolves on its own. Lastly, there’s very little downtime with Thermi. In fact, you’ll be able to resume normal activities the day after your treatment! When will I see results? How long does ThermiTight last? First of all, this treatment works by stimulating your body’s natural collagen production, which does not happen immediately. About 3 to 6 weeks after your treatment you’ll start to see results, with gradual improvements continuing to build for up to 9 months. ThermiTight results are certainly long-lasting, but not permanent. Most patients report noticeable results for roughly 2 to 4 years post-treatment.